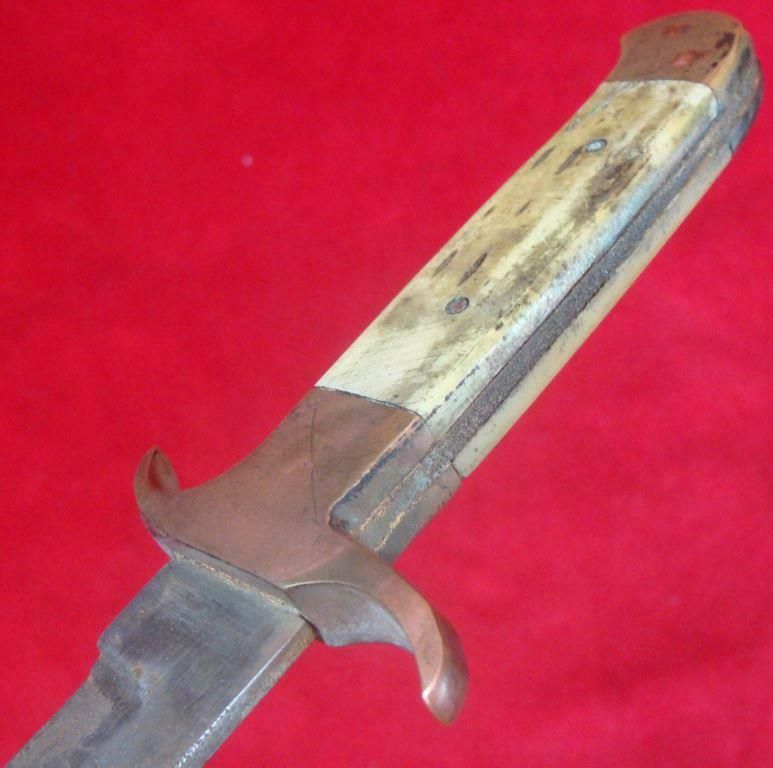 This is a fake Confederate Bowie knife and is not period to the Civil War. 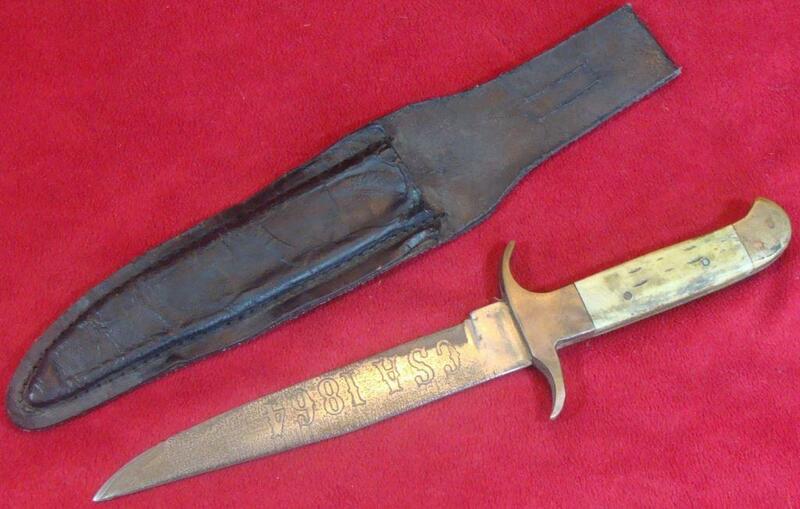 It may appear to be old, but most likely was made as a novelty or souvenir knife, and is a post-war product. 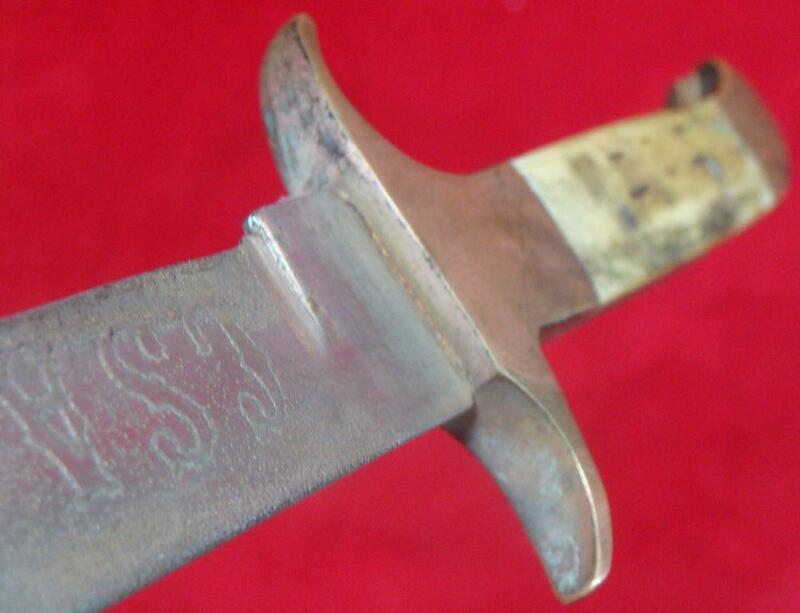 The etching is not period and the stippling on the blade is all wrong. 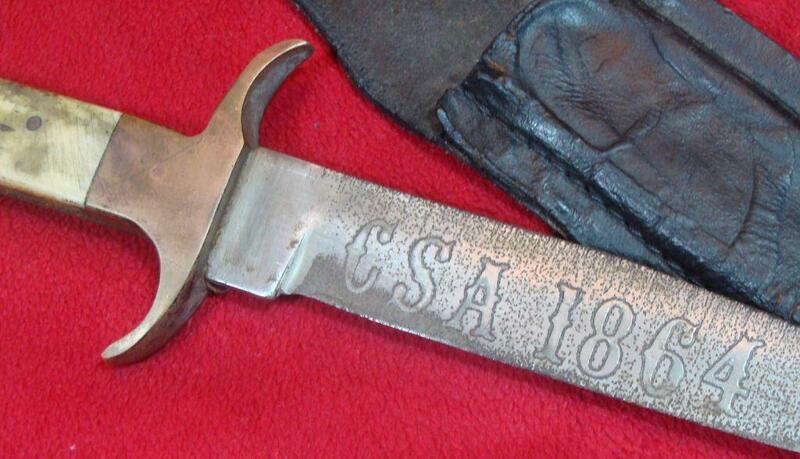 This knife showed up on a popular internet auction site as being period and original to the Civil War, but not. 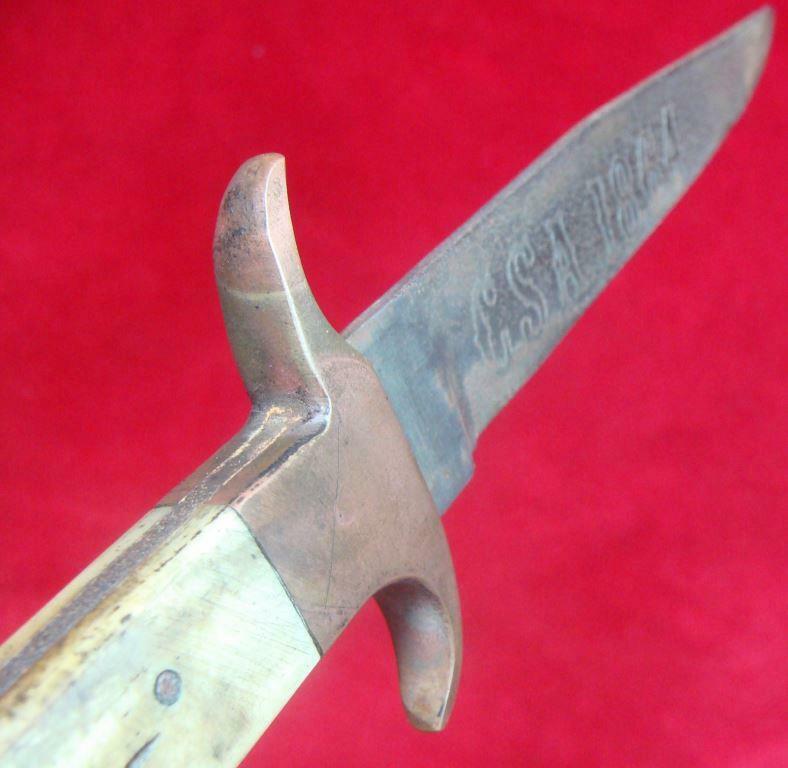 Do not be fooled!